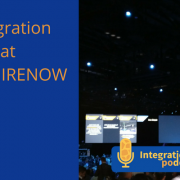 Next week is SAPPHIRENOW in Orlando, and I’m looking forward to going there to see what is happening with Integration. SAPPHIRENOW is SAPs biggest event with a focus on what new SAP Software customers should be investing in. The conference has a big focus on the business values that SAP is providing and provide good roadmaps of what is to come. 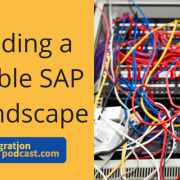 In this episode of the podcast, I’ll be covering my expectations of SAPPHIRENOW and also something about the sessions that are most interesting from an integration perspective. Last year SAP announced SAP Leonardo as their platform for handling all the cool new things like blockchain, IoT, Big Data and more. I guess it was mostly a branding of their Cloud Platform and some of the services so people could see it was something new. I’m looking forward to seeing what is coming out of new things from the conference. I have created a list of the sessions that look most promising from an integration perspective. The list originally appeared on my blog on SAP community. 12:30 p.m. – 01:30 p.m.
03:00 p.m. – 03:40 p.m. If you have an idea of sessions I forgot please share in the comments. 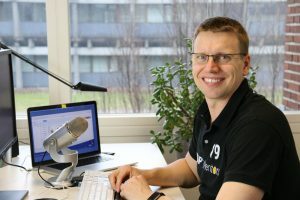 In this episode, I’m sharing what IRT 2.2 is and the future of testing SAP PI/PO and Cloud Integration. 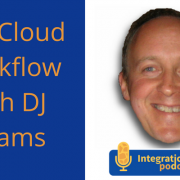 I cover some of the new features delivered in release and where I would like to take the tools. So my vision is to create to create an integrated development platform for developers to make it a lot easier to monitor what is being delivered. So we will support the developer all the way from an incident or problem, to create a ticket for it. Log the changes made on the ticket and then figure out what to test for it. In this release, we offered a way to look at your repository objects and make comparisons on them to see what the changes in them were. This enables you to assign a ticket to each change and use it i the change management. We also enable you to look at message mappings and the show all ICOs that uses that message mapping. This is the key component in giving you the ability to monitor changes. 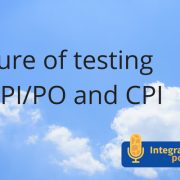 The other great feature we added is the ability to test the SAP Cloud Platform Integration (CPI aka HCI) . We can now do regression test of HTTP scenarios and for other scenarios, you need to have resent the same messages. In 2.3 we are giving you the option to also test other scenarios and help you select the locations you want to compare. We have made this progress in the two weeks since the trace functionality was released for cloud integration. The trace allow us to get messages from all steps of the processing just by change the log level of the flow. It was quite lucky that it was released now and we did not have to make a lot of modifications to the flow to get correct logging messages.